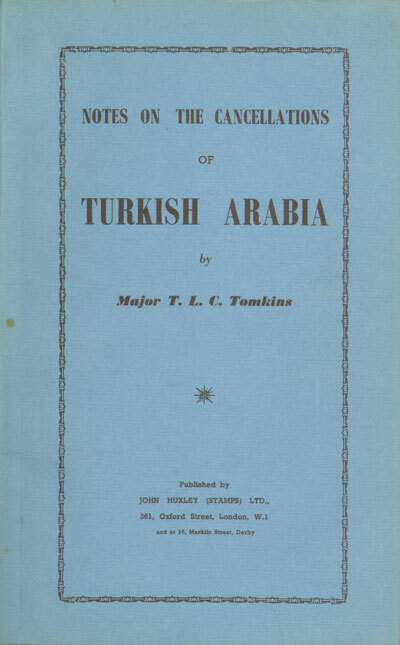 TOMKINS Major T.L.C. - Turkish Arabia. Notes on the cancellations of the former provinces of the Ottoman empire in Asia including the European consular posts and cancellations of the 1914-18 war. 32pp + blank interleaving. 1st ed., fine in original card covers.Useful guide to postmarks with rarity guide.